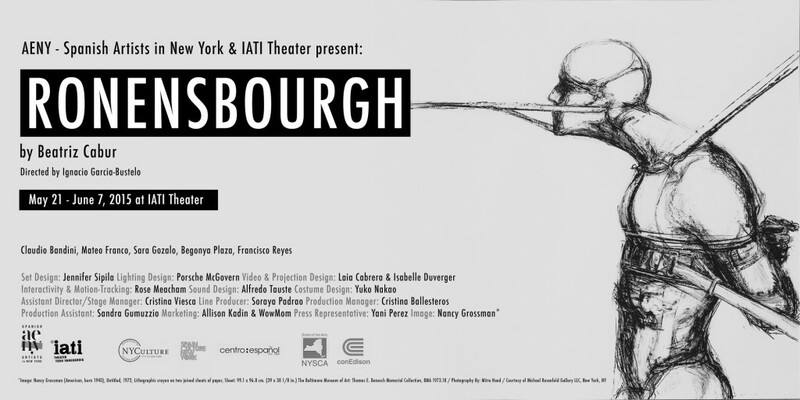 RONENSBOURGH – Main Stage 2015 (Trailer) from AENY-Spanish Artists in New York on Vimeo. The Heibers live in a world that’s rapidly crumbling, plagued by flawed and outdated social and political models. Meanwhile a group of aristocrats, led by Helmut Ronen, are creating the perfect city as the answer to all of society’s problems: Ronensbourgh. The play possesses relevant questions about identity, society and home; about the conception of those ideas, and the dislodging of the very things our society hold as important. Location: IATI Theater: 64 East 4th Street, NYC 10003.